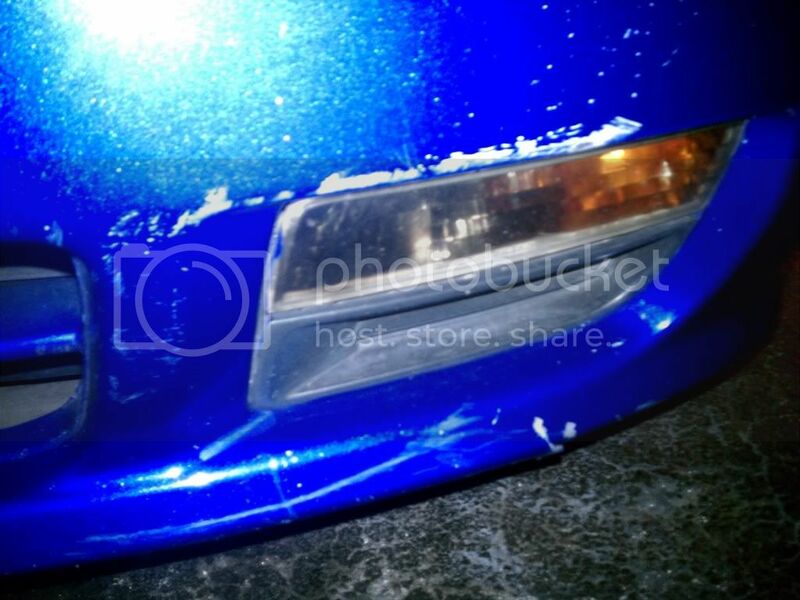 sups guys just posting for a little wisdom on how to handle some scratches on my front bumper. iv been reading up a bit on products like touch up, but i would appreciate some opinions on which products work, which dont, or if anything out there works at all. ill try and post some pics to give you a idea of whats the situation. really im not in the financial position to be buying a bumper or getting one painted. thanks in advance. How deep are the scratches? If you run your finger nail across the bumber does your nail catch the scratch? If not then you can use some compound and get the scratches cut/buffed out. I would say repaint it in the garage with an air gun..trying to touch that up won't be fun. i dont have or know anybody with a garage or ait gun. about how kuch would a bodyshop charge for touching it up. A body shop would maybe charge 100 to paint it. Figuring that you, take it to them, sanded it down and prep it. I would get touch up paint, then try and cut and buff it and see how it turns out.